Find puppies for sale in Middlebury Center, Pennsylvania! PuppyFind is the most popular and trusted way to find puppies for sale in the state of Pennsylvania. 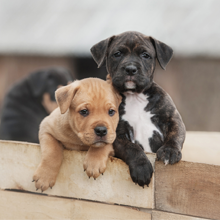 Browse puppies for sale in and around Middlebury Center - all from the comfort of your own home. Dog breeders from all over Pennsylvania use PuppyFind to successfully find new, loving homes for their precious puppies. We take the adoption process seriously and monitor breeders closely, so you can feel at ease knowing that you're dealing with a credible dog breeder.